Telegram update brings Chat export tool, Better notifications to Windows. 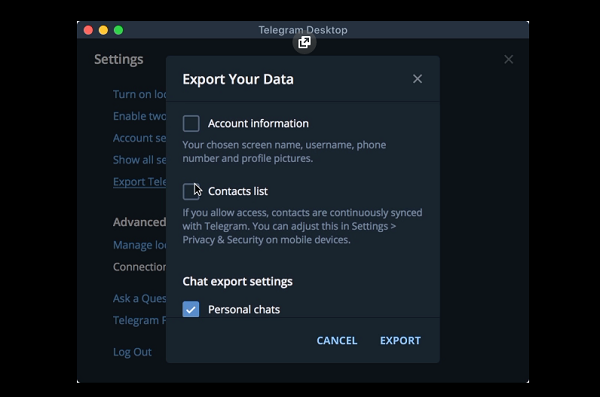 Today's Telegram update brings you an easy way to save conversations on your disk. In just a few taps, you can export some (or all) of your chats, including photos and other media they contain. As a result you'll get all your data accessible offline in JSON-format or in beautifully formatted HTML. Telegram was the first app to give users flexibility in fine-tuning how their message notifications work. Today Telegram taking this further by adding Exceptions to the notifications settings, where you can see which chats are excluded from the global settings you defined in Settings > Notifications.